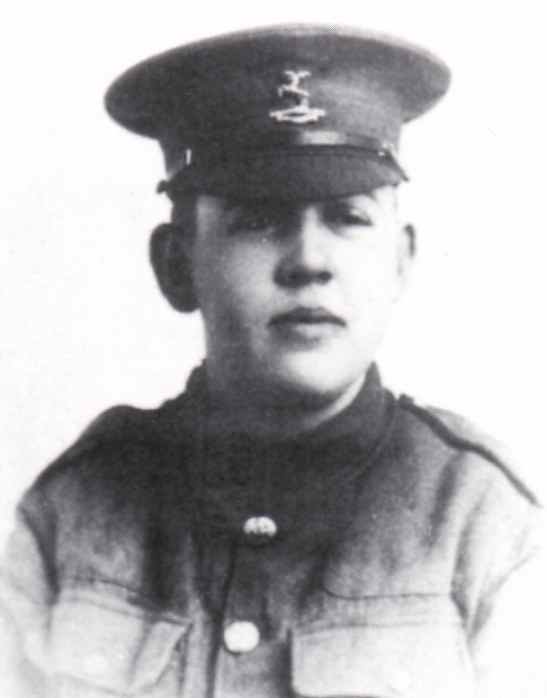 This is the only known Photo of Charles Laughton in H C B uniform. The same man that, after the war, became a famous Hollywood actor had previously served in the HCB. It is thought that Charles joined the Cyclists as the hotel that his parents ran in Scarborough was used as the officer's mess of the 1/1st HCB when they were stationed in Yorkshire. I am most grateful to Gloria Porta for the photograph and background data on Charles that led to my own search for his service history being extended. Charles is thought to have served in the Northamptonshire Regiment in France and further research is at present being undertaken to confirm this. One source indicated that he was slightly gassed there. Under Battalion orders, issued by Lieut. Col. M. D. Barkley, officer commanding 2/1st Huntingdonshire Cyclist Battalion issued at Beechlands, Skegness on 27th July 1918 at 5:00 p.m., and signed by W. J. Satchell (Captain and Adjutant), orders being for the following day i.e. 28th July 1918, records indicate that he was placed under orders to proceed overseas. At the time he was a Private [ 48603 ] in D Company and was with the 2/1st H C B based on the east coast. Charles Laughton - Under Battalion orders, issued by Lieut. Col. M. D. Barkley, officer commanding 2/1st Huntingdonshire Cyclist Battalion issued at Beechlands, Skegness on 30th July 1918 at 5:00 p.m., and signed by W. J. Satchell (Captain and Adjutant), records indicate that he was placed under orders to receive leave of absence from 29th July to 3rd August 1918 inclusive. At the time he was a Private [ 48603 ] in D Company and was with the 2/1st H C B based on the east coast. Charles Laughton - Under Battalion orders, issued by Lieut. Col. M. D. Barkley, officer commanding 2/1st Huntingdonshire Cyclist Battalion issued at Beechlands, Skegness on 9th August 1918 at 5:00 p.m., and signed by W. J. Satchell (Captain and Adjutant), orders being for the following day i.e. 10th August 1918, records indicate that he proceeded overseas on the 9th August 1918 and was struck off the strength of the Battalion accordingly. This was under Authority:- W. C. List No. A717 dated 3rd August 1918. At the time he was a Private [ 48603 ] in D Company and was with the 2/1st H C B based on the east coast. Charles Lawton - Under Battalion orders, issued by Lieut. Col. M. D. Barkley, officer commanding 2/1st Huntingdonshire Cyclist Battalion issued at Beechlands, Skegness on 1st August 1918 at 5:00 p.m., and signed by W. J. Satchell (Captain and Adjutant), orders being for the following day i.e. 2nd August 1918, records indicate that was awarded A W R pay increase – granted at 1d per day. At the time he was a Private [ 48603 ] in D Company and was with the 2/1st H C B based on the east coast. A search of the medal index cards at the PRO indicates that there were several soldiers with the name C. Laughton serving in WWI. and the above orders indicate that Pte. Charles Laughton 48603 the Bedfordshire Regiment, later 42603 the Northamptonshire Regiment indicate that this is Charles. The Northamptonshire Medal Rolls confirm him in the 7th Northamptonshire Regiment and previously as being in the 4th Bedfordshire Regiment. They also give a discharge / demobilisation date as 'class Z 14/2/1919'. Sadly, none of the Medal Rolls do not indicate that he served in the Huntingdonshire Cyclist Battalions. 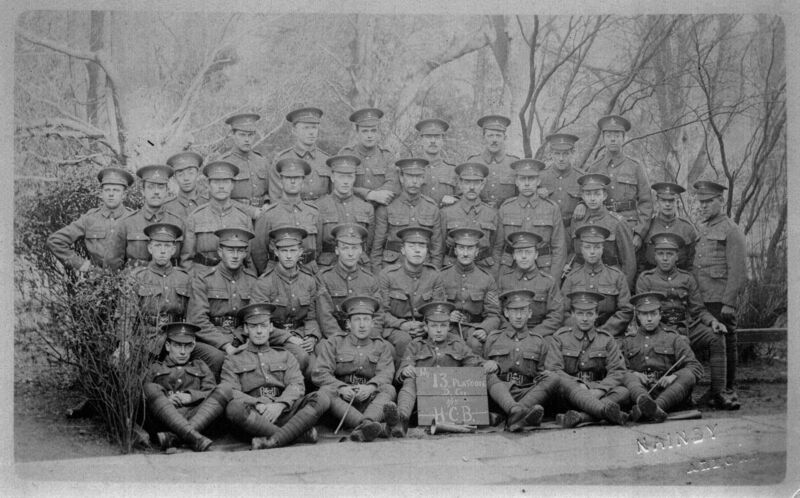 13th Platoon D Company of the Huntingdonshire Cyclist Battalion. 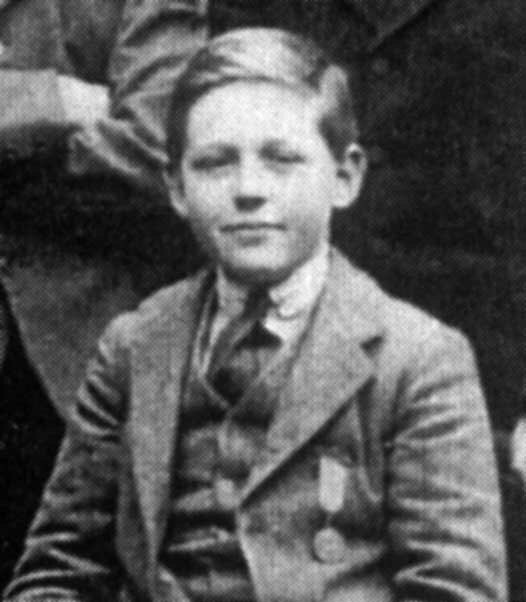 This photo, provided by Gloria Porta, shows Charles Laughton aged 12 - compare it now with the photo below and see if you think the man in the photo - below left - shows Charles Laughton. 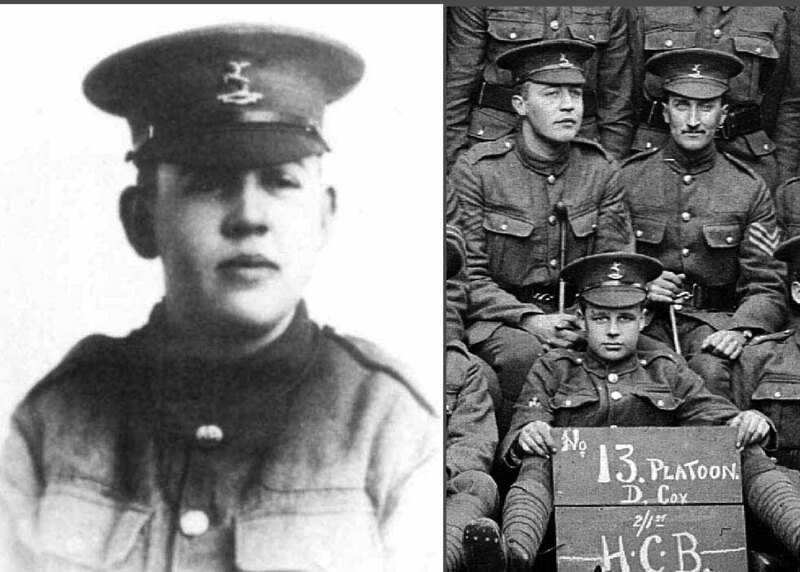 It is know that Charles Laughton served in this section of HCB the photograph above and section enlarged on the left indicates that the person seated above and to the left as viewed above the man with the boars looks like Charles Laughton - it is sad that this can't be confirmed from any known source. William Mould [Right as viewed] thought to be sitting next to Charles Laughton. Charles Laughton - Life History Return to Home Page.